Statistics Canada describes this country as "a nation on the move." According to the most recent Census, four in 10 Canadians picked up and moved during a five year period. Young adults continue to flock to large metropolitan areas while those over 65 leave urban areas for smaller cities or rural locations. When you relocate an important things to deal with is the "Address Change", not to be confused with the "Canada Post change of address that will ensure that you do not miss important mail sent to your former address. If your move is permanent, this service is offered for six months. After having made sure that you do not loose important mail, the next step is to contact every company, Government, Credit Card and Magazine you deal with. You can obtain Change of Address Announcement Cards at your local Post Office to advise your correspondents of your new address. The cards are free, but you must put the appropriate postage on them. Who should be notified of your change in address? The list below includes some of the more common services and suppliers. Motor Vehicles Branch: drivers license, vehicle and plate registrations. Canada Customs and Revenue Agency: child tax benefit, GST rebate, income tax. Utilities: electric/hydro supplier, natural gas, utility services phone company, cable, cellular phone, satellite, internet, e-mail (if necessary) and other communication service providers. Insurance Companies: life, home and auto. Financial Institutions: banks, mortgage brokers, Financial Adviser investment firms and credit card companies. Doctors, schools, daycares, work place. Memberships, reward programs, newspaper and magazine subscriptions, clubs, newsletters. A convenient way to change your address or redirect your mail! 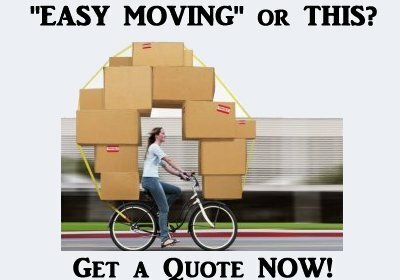 Accessible 24 hours per day, 7 days a week, you can change your addresson-line at least 10 business days before your move or travel. There is a fee for this service. You can use this online service to check or change your home address, your mailing address, and your phone number(s). If you are moving within British Columbia, you can notify three provincial agencies of your new address by entering the information online. Your information will be sent to the agencies you select: the Medical Services Plan, ICBC, and/or Elections BC. Government of New Brunswick online change of address is available on the following: Motor vehicle registration, Driver's licence, Medicare, Property accounts, Parking placard (for persons with disabilities). If you are moving within Nova Scotia, you can use this website to electronically send change of address information to various government offices. This is a fast and easy way to notify the Ministry of Transportation, the Ministry of Natural Resources and the Ministry of Health and Long-Term Care of your change of address within Ontario. Please do not change your address before you move or it becomes effective. Notify six government departments and agencies of your change of address in a single operation. ExpressAddress offers residential customers a convenient way to notify multiple Saskatchewan organizations of your move.